In the center of Orth lies a hole so deep that many have tried to explore, yet very few seem to survive it. This chasm, called the Abyss by many, is littered with all kinds of strange creatures and undiscovered treasures. Yet for all of the riches and wonders that have been found, there is still so much more to be discovered. Those who attempt to probe these depths are known as “whistles,” young children who are educated in everything Abyss-related and trained to bring back any ancient riches they come across. But there’s a catch: the Abyss is draped with a curse that gets stronger the deeper you go. Go down a little and you might just vomit a bit. Try to come up from the lower levels, however, and, well, if death doesn’t get to you, the curse that warps you into a mindless monstrosity will. But none of this deters Riko, a young girl who seeks to travel through the Abyss and learn the true destiny of her mother, who seemed to vanish in the chasm’s depths despite her being a high-ranking whistle. It seems like a faraway journey for her at the moment, but a chance encounter with a robot boy that came straight from below—as well as a note from her mother that simply says, “I’m waiting at the bottom”—is all it takes for her to believe that her time has finally come. Thus she and her new robot friend Reg begin a journey that, in many ways, could be their last. We all remember how much we wanted to go on an adventure, how we thought it would be a smooth sail because of how beautiful it all was. But there’s an old saying—“Every rose has its thorns.” Something dangerous may certainly look beautiful, but it can be a near fatal encounter that can shake you to the core if approached the wrong way. Yet that same sense of danger is tethered to a sturdy sense of wonder, as that same ability to inspire fear enhances the perception that this is a cool thing to see. Made in Abyss, which aired during the summer 2017 season, exercises this philosophy from start to finish. Made in Abyss only has 13 episodes at its disposal, so it’s important to establish who’s who as soon as possible. Fortunately, character-wise, Riko and Reg are introduced with minimal issues. Riko is the classic headstrong adventurer yearning for answers, even if she has to put herself in harm’s way to get them, whereas Reg is full of worries about what he is that contradict his nearly indestructible nature. While they’re billed as a team, though, the show seems to struggle when it comes to presenting that fact. The show is supposedly Riko’s journey to find her mother, yet she’s often sidelined to make Reg look like the hero of the story. While he’s certainly physically stronger than Riko, he has no knowledge whatsoever of the Abyss, and he’s terrified of losing Riko and ending up all alone, thus making him look more like a supporting character rather than a hero. 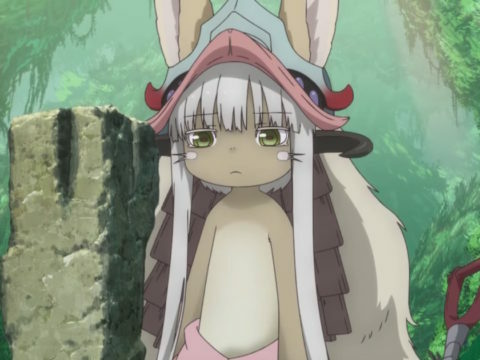 There’s also Nanachi, a furry denizen of the Abyss that we meet much later, who comes in at the last minute to save Riko and Reg and seems to act as Riko’s replacement when Riko, once again, gets put in the backseat. But while Riko certainly knows a lot about the Abyss, Nanachi had been living in it long before the other two delvers showed up, and thus is far more capable at countering the dangers of the Abyss than they are. In a way, Nanachi is kind of like Riko without the thick-headedness that gets her into trouble. And then there’s the titular Abyss itself, which in many ways feels like the real star. From the very beginning, we know that the Abyss is a big hole and a very dangerous place for the uninitiated. In fact, I’m tempted to compare the Abyss to the ocean in the film Moana: both are environments with personality and have been a huge part of the lives of the protagonists for such a long time, practically begging them to come and take a closer look. The uncharted unknown can be a very beautiful thing to explore as long as you know what you’re getting yourself into, but a sense of dread is still in the air, because if you make one wrong move, a gruesome catastrophe will be awaiting you right around the corner. 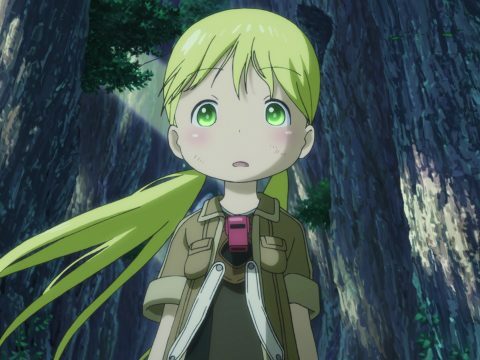 And for a place draped with a deadly curse, the Abyss is certainly a drop-dead gorgeous one, thanks to the animators of Kinema Citrus. The best way to describe the artwork of the Abyss would be “savage beauty”; witnessing the untested chasms, mushroom forests, bizarre vegetation, and unnatural geological formations onscreen is certainly an adventure in its own right. Even the creatures you see flapping and lumbering throughout the Abyss are animated with nearly an otherworldly dash of danger, just to hammer in the menace of it all. 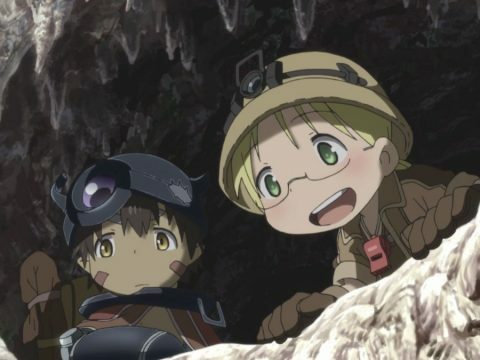 And it certainly helps that Riko and Reg look like they fell out of a fairy tale that was more moe than frightening, as if their all-around cuteness adds to the unnaturalness of the Abyss, like they shouldn’t be there period. And adding to that distinct contrast is the point in which the story’s tone suddenly shifts from “whimsically frightening” to “HOLY CRAP HOLY CRAP GET ME A BAG!! !” It’s a … pretty jarring jump, to say the least, and it’s best to see it than to read about it. Yet it’s this particular point that makes it look like the show is intentionally torturing you by making you watch two children go through this madness. It’s not like the show wasn’t shy about describing the horrors of the Abyss before this point, but seeing these horrors in action is one heck of a sight to behold. But it makes one thing very clear: the world of the Abyss is not safe for anyone, not even children. It’s enough to shock and make you cry at the same time. And the worst part about it? The show ultimately doubles down immediately after that with the arrival of Nanachi. We get the furry denizen’s backstory, and … it’s a doozy, to say the least. Once again, “show, don’t tell” is at play here to create a harrowing backstory. It’s basically a tragedy that looks too cute for its own good. It’s a shocking and graphic display of sorrow, but it ultimately ties into this sinister pathology of searching for answers no matter what gets in the way, even if someone has to suffer to reach the end. We see it with Riko, and now we’re seeing it here. For the record, the calm before the storm—two children traveling through an amazing world filled with strange landscapes and creatures—is a rewarding watch in its own right, but it’s at this point that Riko and Reg realize that nothing will ever be the same again. Do you want to know the really scary part about the narrative of Made in Abyss? 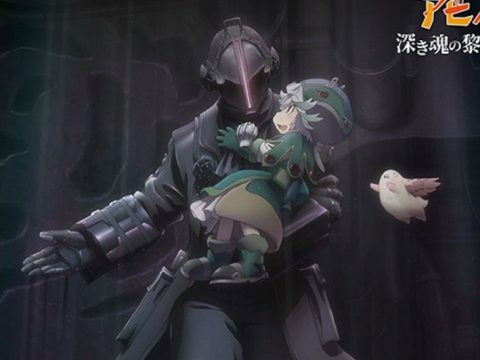 After everything we’ve seen, the journey of Riko, Reg, and Nanachi isn’t even over. There’s still so much of the Abyss we have yet to see, and, given the way things have been turning out, there’s no doubt that the next thing that Riko, Reg, and Nanachi come across will somehow be more frightening than what they’ve already seen. The good news is that production of a sequel adaptation is currently underway, and hopefully we won’t have to wait long to see if that fear turns out to be true (it probably will). 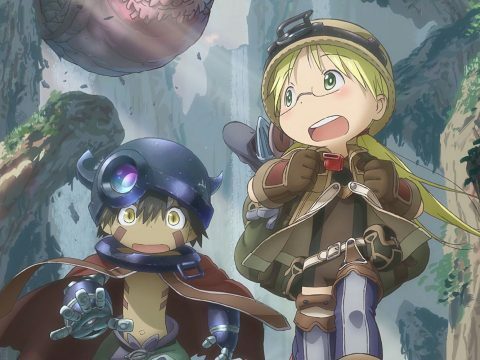 Currently streaming on Amazon’s Anime Strike, Made in Abyss paints a frightening survival/horror story, but it doesn’t feel (at least for the moment) like a hopeless one. For all the torture the show puts us through, there’s still a consistent sense of wonder and the spirit of determination woven into its universe, all while maintaining a sense of terror no matter what. The journey is far from over, but the path taken so far has been practically perfect. 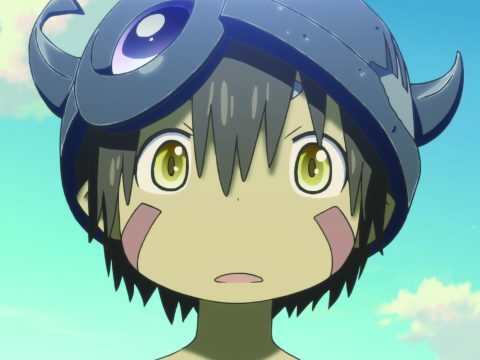 Made in Abyss is available from Sentai Filmworks and Anime Strike.